Save 50% off the marked price of our summer and country style flat weave range in the 1.6 x 2.3m size. 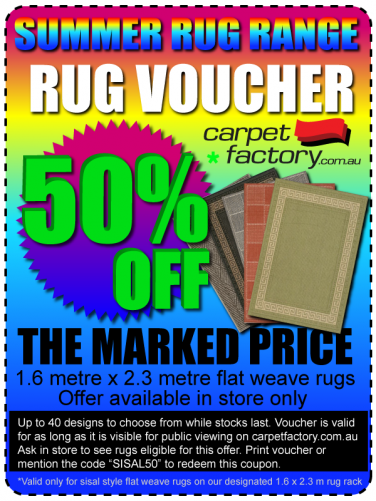 With about 40 rugs on offer* this coupon allows you to get selected rugs on our basket weave and summer rug rack at 50 % off the marked price. This offer is not marked in store, so mention this coupon or print this page to be eligible for this fantastic offer. *Stock is limited and will expire if stock runs out. 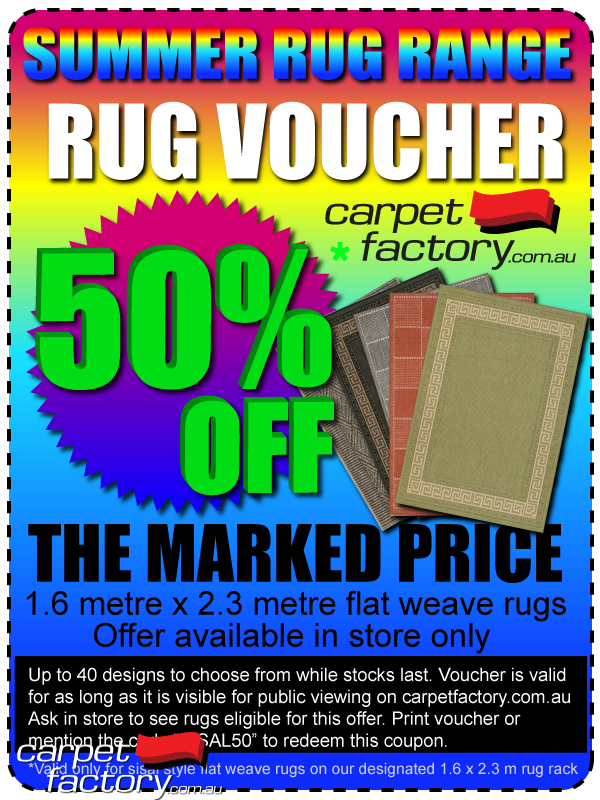 This offer is only valid only while this voucher is displayed on carpetfactory.com.au. Offer will remain available for at least 2 weeks on our site. If this offer is listed on our website in any given Monday to Saturday period and then removed during that week, the offer will be valid until 1pm of the Saturday of the week it is visible here.